YOU LIKE FISHING !!! THEN COME TO THE BEAUTIFUL POSTCARD INN AND FISH WITH THE BEST CAPTAIN'S AND MATES IN THE WORLD, WE'RE REELING IN WAHOO, DOLPHIN ( MAHI ), RAINBOW RUNNER, TRIPLETAIL SNAPPER, YELLOWTAIL SNAPPER, ANGLE FISH, BLACKFIN TUNA ALONG WITH CATCH AND RELEASE SAILFISH, SHARK AND TARPON, SO COME AND BOOK YOUR TRIP TODAY !!! HAVING A GREAT TIME ABOARD THE GOLD RESERVE WITH CAPTAIN HAYDEN AND FIRST MATE COLEMAN ARE ANGLERS MIKE ( DAD ), ETHAN, DANIEL AND GARRETT, THEY WENT OUT TO REEL INA LOAD OF MAHI ALONG WITH ONE RAINBOW RUNNER AND 1 CATCH AND RELEASE SAILFISH. AWESOME FISHING YOU GUYS !!! 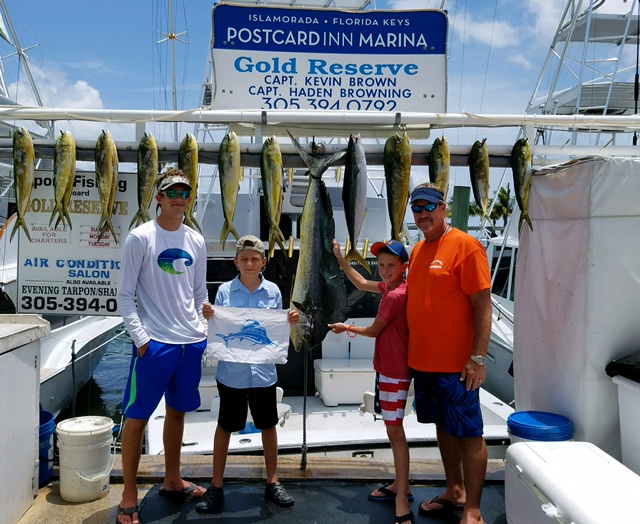 GOLD RESERVE, FIRST MATE COLEMAN ( SEEN FAR RIGHT ) AND CAPTAIN HAYDEN ( SEEN SECOND FROM LEFT ) HELP 11 YEAR OLD DANIEL ( WITH THE MAHI ) AND 11 YEAR OLD ETHAN ( WITH THE SAILFISH ) SHOW OFF THEIR CATCH. GREAT CATCH DANIEL AND ETHAN !!! 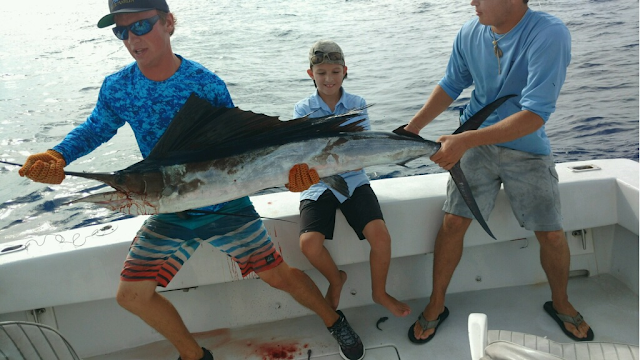 ON THE GOLD RESERVE, ETHAN ( SEEN IN THE MIDDLE ) SHOWS OFF HIS SAILFISH. CAPTAIN JON REYNOLDS ( SEEN FAR LEFT ) ABOARD THE DROP BACK HELPED ANGLERS OLIVER AND KEIN HOLD UP THEIR 70 POUND WAHOO. AWESOME CATCH KEIN AND OLIVER !!! 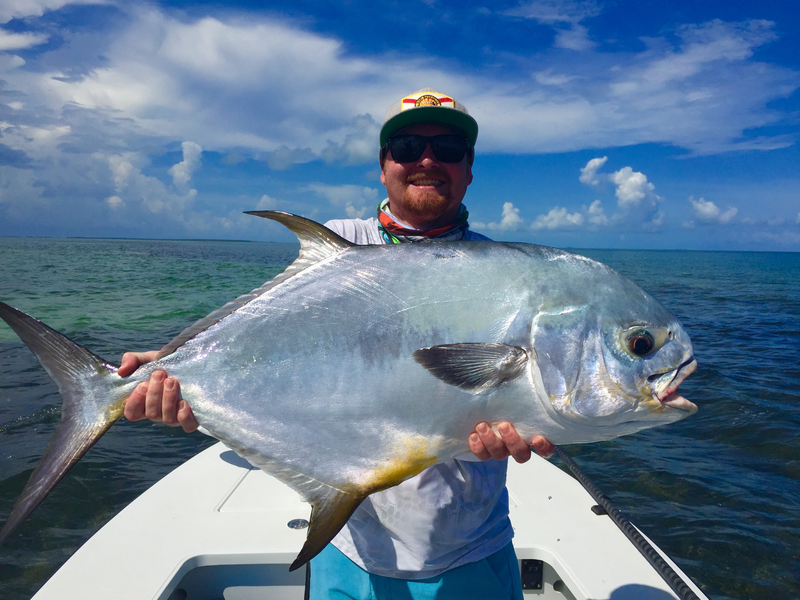 ON THE SKINS AND FINS TOO WITH CAPTAIN DONNIE BENBOW, POSTCARD IN GUEST AND ANGLER, BRAND REEL IN THIS NICE SIZE PERMIT ALONG WITH 6 OTHERS. NICE FISHING BRAND !!! FIRST MATE COLEMAN ( SEEN FAR RIGHT ) ABORAD THE GOLD RESERVE HELPS HIS ANGLER HOLD UP AND RELEASE HIS NICE SIZE TARPON. GREAT CATCH YOU GUYS !!! ANGLERS BEN, BRYCE AND BLAKE TOOK A TRIP WITH CAPTAIN JON REYNOLDS ABOARD THE DROP BACK TO REEL IN 1 BIG TRIPLETAIL SNAPPER AND THEIR LIMIT OF MAHI. NICE FISHING YOU GUYS !!! THE DOLPHIN ARE HERE AT THE ONE AND ONLY THE BEAUTIFUL POSTCARD INN, SO COME BOOK A TRIP TODAY WITH THE BEST CAPTAIN'S AND MATES IN THE WORLD !!!! CAPTAIN JON REYNOLDS ( SEEN ON THE LEFT ) ABOARD THE DROP BACK HELP HOLD UP ANGLER RICK MCBEE'S NICE SIZE BULL. AWESOME CATCH RICK !!! ANGLERS HUDSON, BRIAN, PHOENIX AND JON REYNOLDS TOOK ANGLERS GARRY SALYERS SR. AND GARRY SALYERS JR. ABOARD THE DROP BACK TO REEL IN THIS NICE RACK OF DOLPHIN ( MAHI ). NICE FISHING EVERYONE !!! 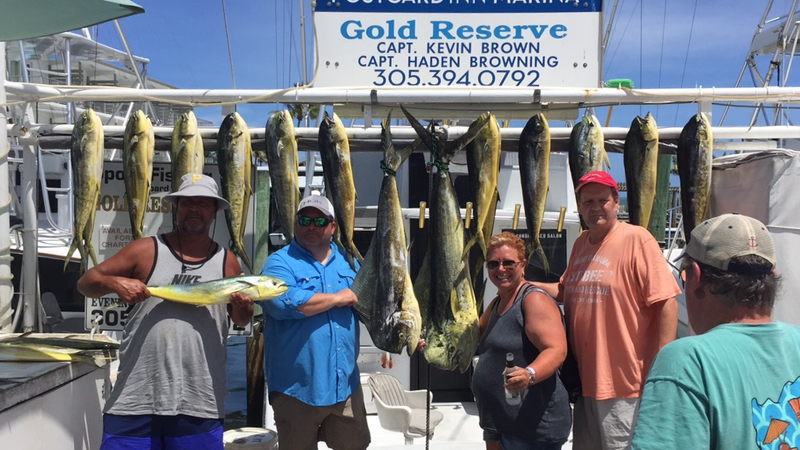 ABOARD THE DROP BACK WITH CAPTAIN JON REYNOLDS ARE ANGLERS DAN, CHRIS, WILL, BRANDI, BOBBY AND GLORY WITH A RACK OF DOLPHIN ( MAHI ) RANGING FROM 8 TO 15 POUNDS. GREAT CATCH EVERYONE !!! 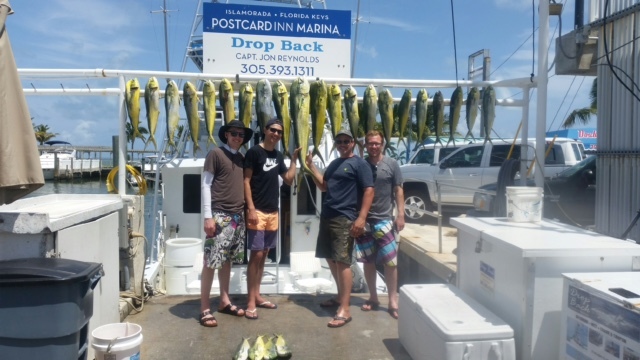 ANGLERS LOUIS AND NICK ABOARD THE DROP BACK WITH CAPTAIN JON REYNOLDS WITH A LOAD OF DOLPHIN ( MAHI ). GREAT CATCH LOUIS AND NICK !!! 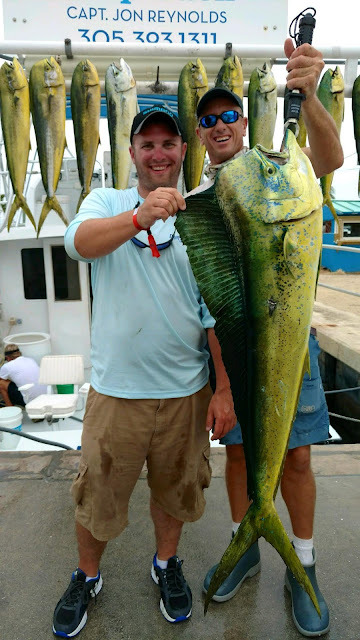 ABOARD THE DROP BACK WITH JON REYNOLDS ANGLERS HEATH AND JAMIE HOLD UP THEIR 30 AND 40 POUND BULL ALONG WITH A RACK FULL OF DOLPHIN ( MAHI ), NICE CATCH HEATH AND JAMIE !!! 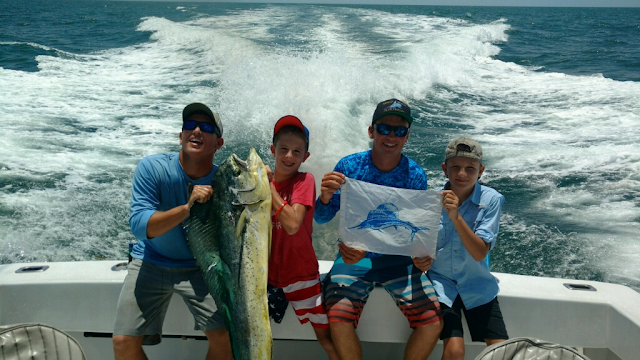 THE ZAJAC FAMILY TOOK A TRIP WITH JON REYNOLDS ABOARD THE DROP BACK TO REEL IN THEIR LIMIT OF DOLPHIN ( MAHI ). GREAT CATCH ZAJAC FAMILY !!! THIS FAMILY HAD A AWESOME TIME ABOARD THE DROP BACK WITH JON REYNOLDS REELING IN THIS NICE CATCH OF DOLPHIN ( MAHI ) RANGING FROM 10 TO A 30 POUND BULL. AWESOME CATCH EVERYONE !!! Here at Postcard Inn we also have a head boat that holds 72 anglers , The Double Agent, you can contact then by calling 305-664-0100 , so call and book a trip today !!! Here at the beautiful Postcard Inn we are reeling in all your favorite fish, from Mahi Mahi ( Dolphin ) Grouper, Blackfin Tuna, Bonita, Amberjack, Yellowtail Snapper along with catch and release Tarpon and Shark, so come book a trip with us today, here at the one and only, the beautifull Postcard Inn !!!! ABOARD THE DROP BACK WITH CAPTAIN JON REYNOLD, HOLDING A 30 POUND AND 40 POUND DOLPHIN ARE ANGLERS LUKE AND CHRIS. AWESOME CATCH YOU GUYS !!! LESLIE AND ANDREW HAD A GREAT TIME WITH CAPTAIN JON REYNOLDS ABOARD THE DROP BAC REELING IN THIS NICE RACK INCLUDING THIS 40 POUND BULL. NICE FISHING YOU GUY'S !!!!! WHAT A DAY OUT ON THE WATER !!!!!!! THESE 4 ANGLERS TOOK A TRIP ABOARD THE GOLD RESERVE WITH CAPTAIN HAYDEN AND FIRST MATE COLEMAN TO REEL IN THIS AWESOM CATCH. GREAT JOB EVERYONE !!!! 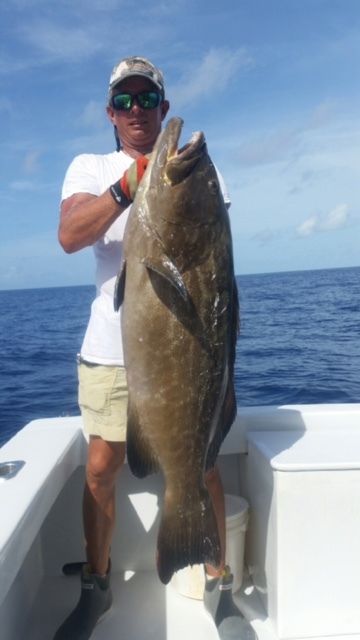 FROM CANADA ANGLER DAVID CAME TO FISH ABOARD THE DROP BACK WITH CAPTAIN JON REYNOLDS TO REEL IN THIS NICE SIZE BLACK GROUPER. FANTASTIC CATCH DAVID !!! 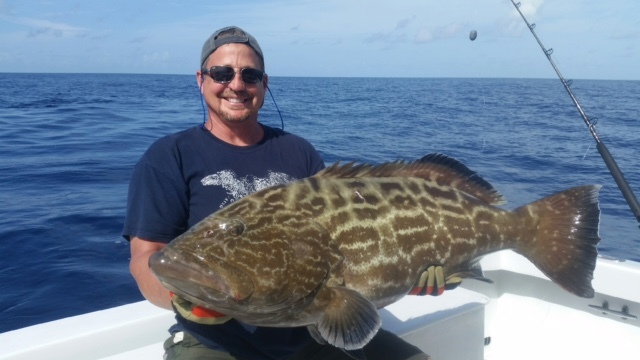 FIRST MATE GARRY ( ON THE DROP BACK ) HOLDS ANGLER DAVID BLACK GROUPER. 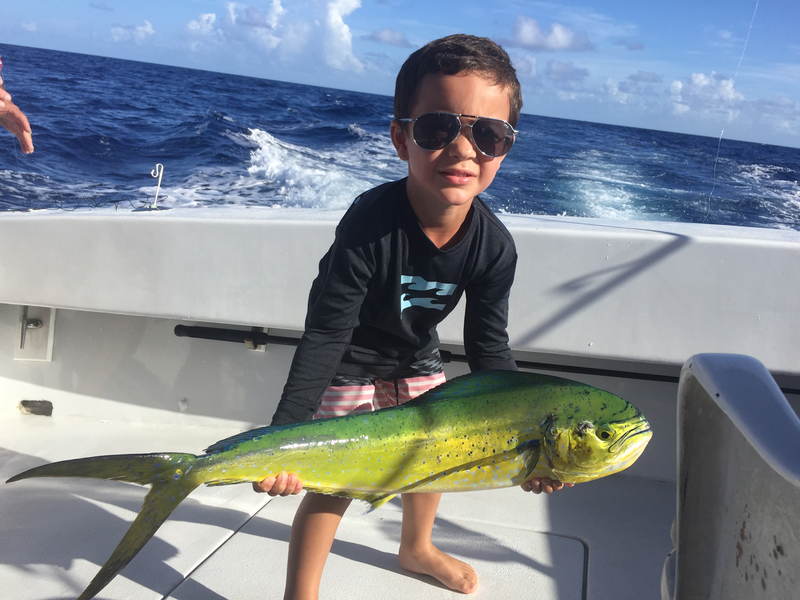 YOUNG ANGLER BAILEY SULLIVAN HAD A GREAT TIME ABOARD THE GOLD RESERVE WITH CAPTAIN HAYDEN, FIRST MATE COLEMAN AND HIS FAMILY, THEY REELED IN THIS NICE DOLPHIN ALONG WITH 12 OTHER DOLPHIN, 1 BONITA AND 1 BLACKFIN TUNA, THEY LOVED THE CREW AND EVERYTHING ABOUT THE TRIP. AWESOME CATCH BAILEY !!!! Picture Sunday-- if these pics don't get your angling juices flowing then words won't do it either take a look at these! There are abiting ,Sailfish, Dolphin, Tripletail , Tarpon, Bonita , Blackfin Tuna---Yellowtail Snapper, you name it! Come to the Beautiful Postcard Inn and book a trip with the best Captain's and mates in the Key's, here at the one and only, the beautiful Poastcard Inn . Up top and bottom, The Layson Family took a trip aboard the Drop Back with Captain Jon Reynolds to reel in 30 Mahi (Dolphin ) ranging from 10 to a 20 pounder and this nice catch and release Tarpon. Awesome fishing Layson Family !!! Here at the beautiful Postcard Inn, you can enjoy are beautiful resort along with some great fishing with the best Captains and mates in the Key's, we're reeling in Mahi Mahi ( Dolphin ), Amberjack, Blackfin Tuna, Bonita, Mutton Snapper, Yellowtail Snapper and much more, so come book a trip with us today, here at the one and only, the beautiful Postcard Inn. On the Drop Back with Captain Jon Reynolds and father Brian Reynolds are anglers Kevin and Phil, they came in with a rack load of mahi ( Dolphin ) ranging from 10 to a 25 pound Bull. Awesome catch everyone !!!! 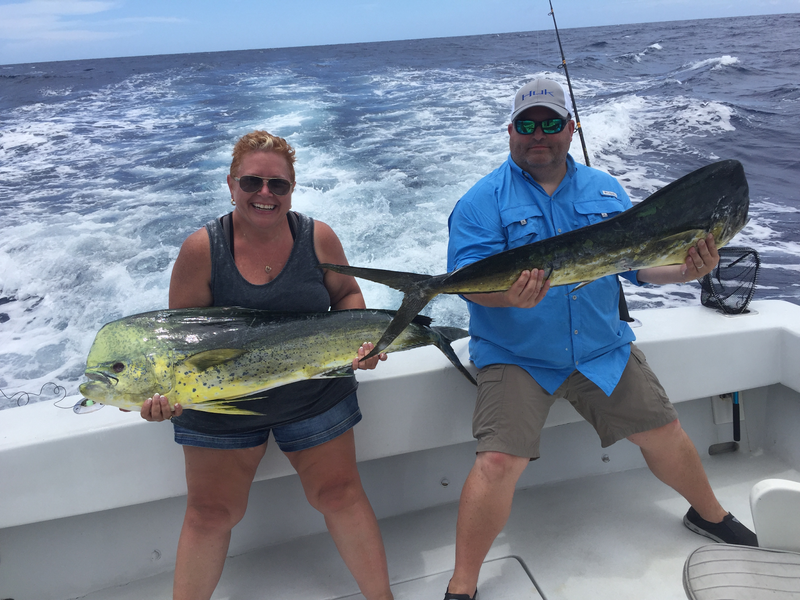 Aboard the Gold Reserve with Captain Hayden and first mate Coleman , these 2 anglers reeled in 1 Bonita and 5 Mahi ( Dolphin ) ranging from 10 to a 15 pounder. Great catch you guys !!! What's Happening at PCI at Holiday Isle! Postcard Inn Resort & Marina at Holiday Isle would like to present our Captain's Fishing Reports. 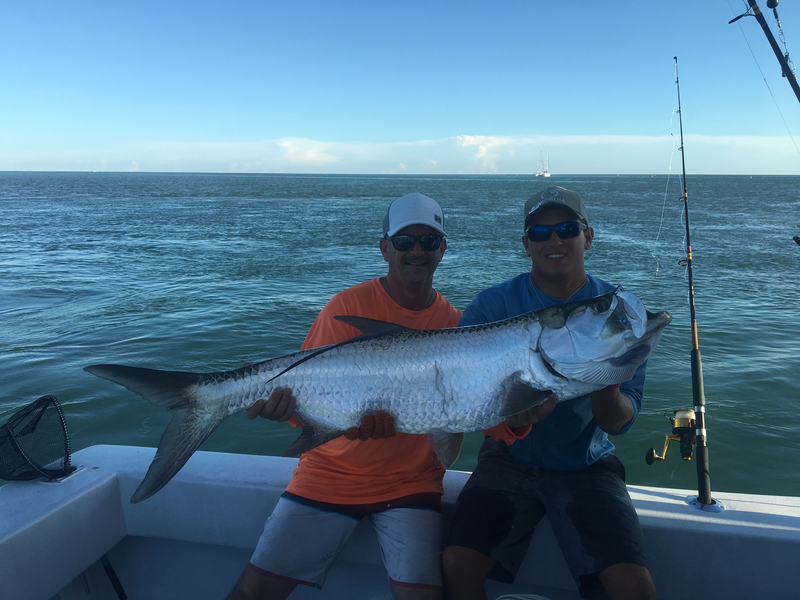 Updates on the conditions and fishing data from our Charter Captains, and offshore agents in Islamorada in the Florida Keys. Daily postings and local area reports from around the Florida Keys!